I have been a subscriber to PawPost for over a year now and every month is as exciting as the next. I love that you can get a doggy box sent to your door every month full of goodies for Pixie and Roxy. We have tried a few boxes for Pixie and Roxy in the past, Fings For Fido (now shut down) and Pawsome. PawPost has been the best by far. 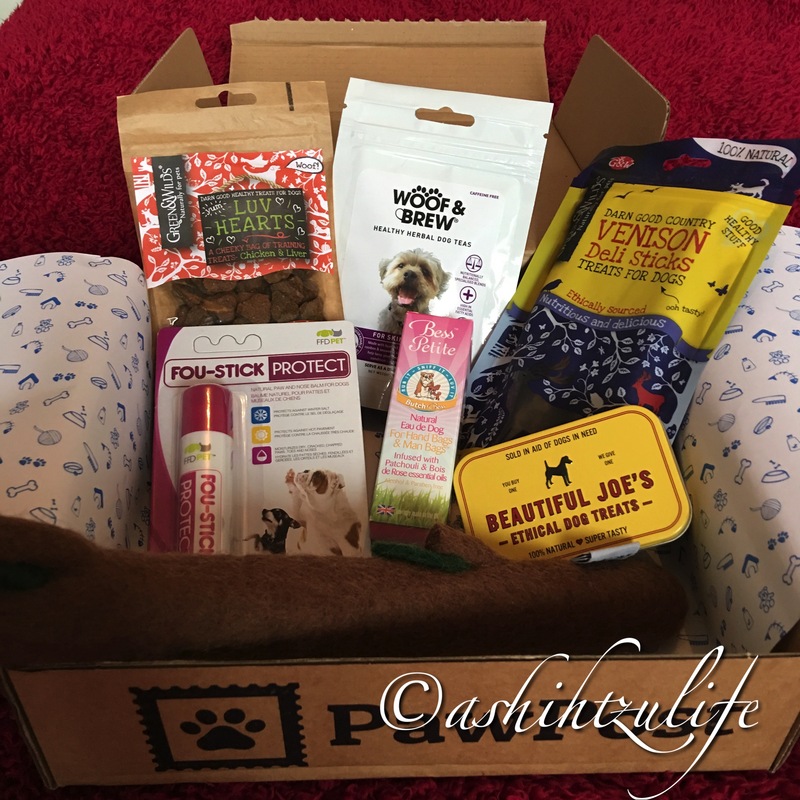 PawPost is not only for dogs but for cats as well, you can subscribe to a dog treat box for £8,95, The Dog Box and The Cat Box for £17.95. Within these dog and cat boxes they can range from 5 to 7 items which could be anything from treats to toys and health products. When you start up your box it lets you enter details of your dog/cat, from breed to size and the birth date. There is a section for comments which you could add any allergies or things that could upset them. The thing I love about PawPost treats is they are all natural ingredients and sometimes grain free. This makes me happy as boxes we have tried before have had rubbish in them which did not agree with Pixie and Roxy. They have different plans for payments so just head to PawPost and check them out if you are interested in trying a box. 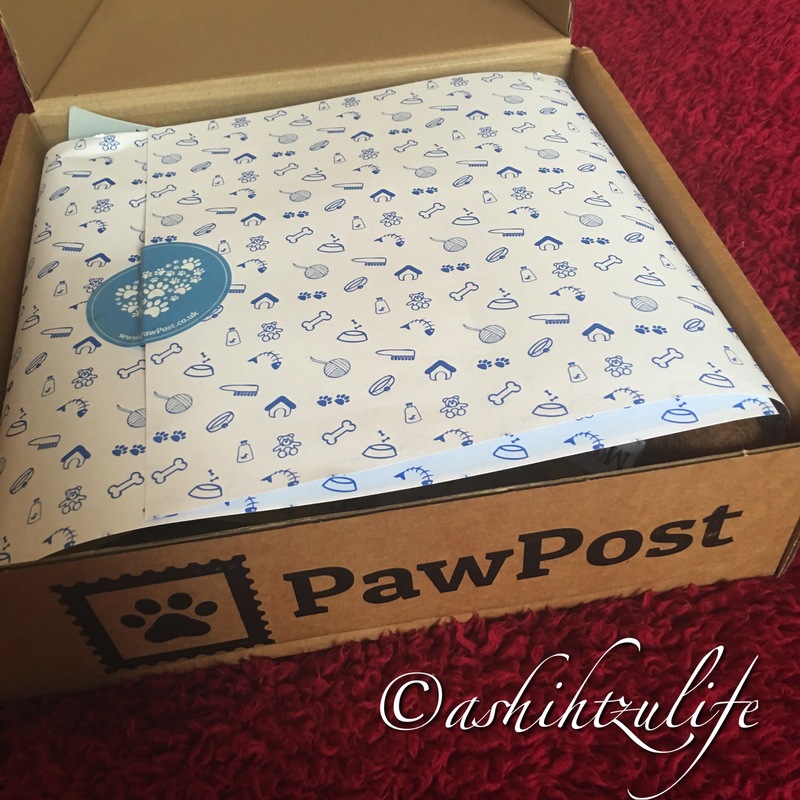 Now that I have explained a little bit about PawPost lets take a look at what we got in our box this month. 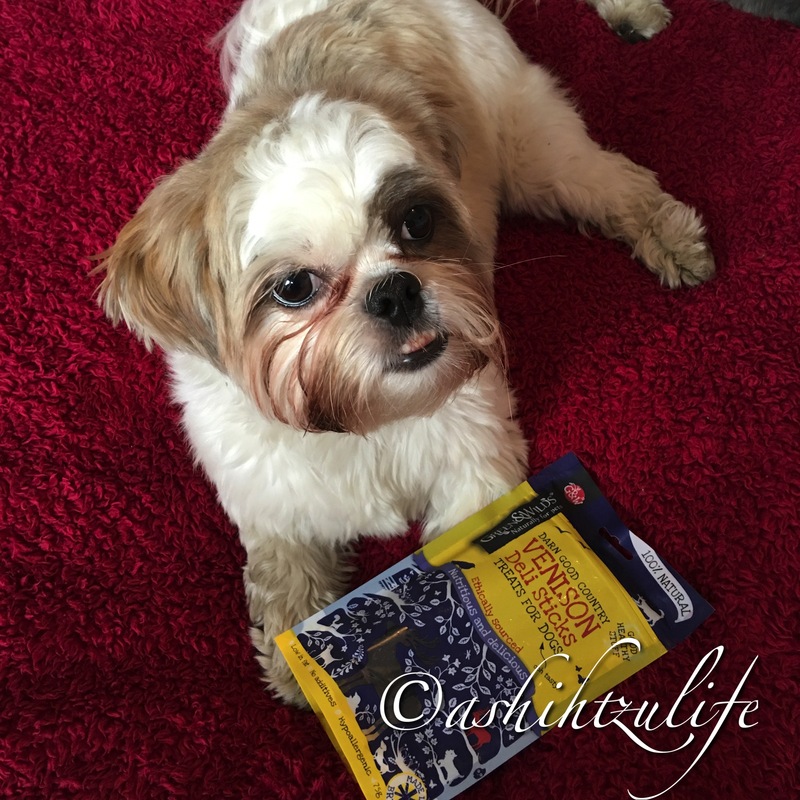 This is the first written review I have done for this subscription, I usually do a video on opening the box and you can see our first thought and if it is Pixie and Roxy approved. You can check the video out at the end of this blog. This months box contained 7 items which is a lot. Usually we have between 5 or 6 items. Two of the items we have had in previous boxes and this has happened a few times with products and we would get repeated items. I am going to wait and see what happens in next months box to see if I receive anything we have already had before and send them an email. We still love this box and Pixie and Roxy are very excited when they see this box every month. Mutts & Hounds 100% Wool Toy – This naturally dyed and hand felted in pure wool is made by Nepalese artisans. This soft toy is ideal for fetching and snuggling, and it will keep your pooch’s teeth clean to boot. And for each toy sold , Mutts & Hounds donate £1 to the Nepal Earthquake Appeal. This Brand is all heart. 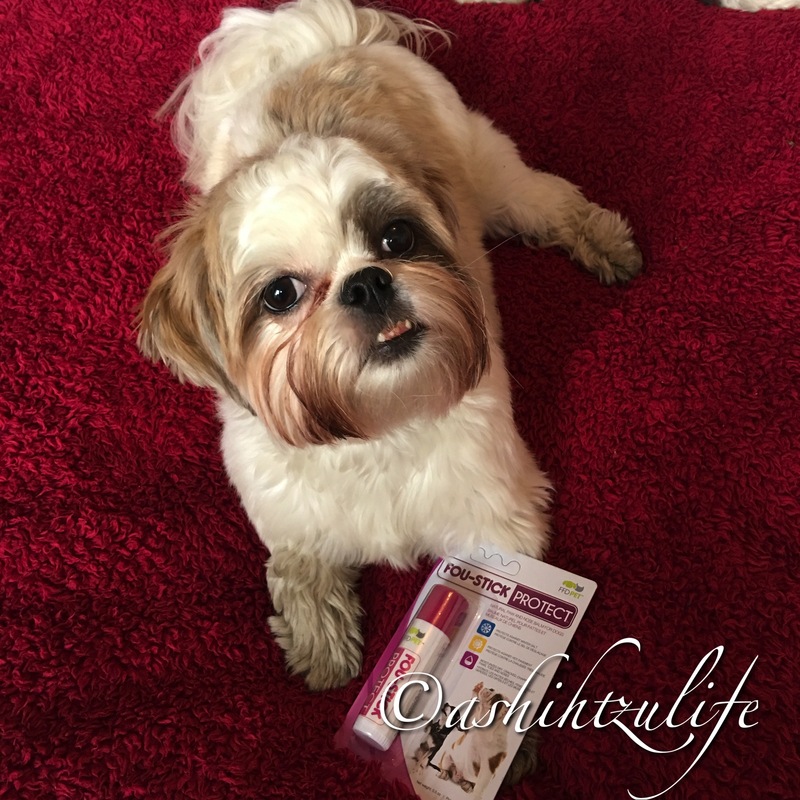 Pixie and Roxy love this toy, if your dog is a chewer then maybe this toy is not for you, The hair like material comes away from the toy easily. Pixie just fetches it but for dogs that like to sit and chew toys then I wouldn’t recommend. Green & Wild’s Luv Heart Treats – These irresistible, all natural chicken and liver treats are sure to become a fast favourite with your pooch. Tasty grain free and rich in anti-oxidants, whats not to love? 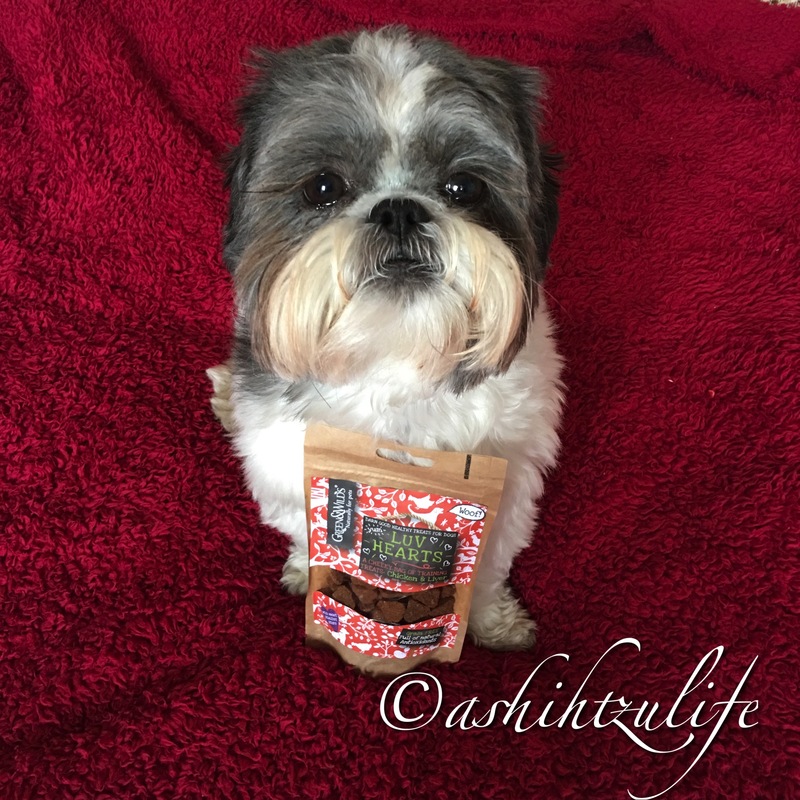 Pixie and Roxy love these treats they are small and soft and the perfect size for a little nibble. They kept coming back for more. We love the Green & Wild’s range. Butch & Bess Perfume – This long lasting, all natural fragrance will keep your best buddy smelling superb! Free from harsh chemicals, including alcohol, paragons, soaps and dyes, this doggy perfume can be used to freshen up the coat in between baths, or as a splash of decadence whenever it strikes your fancy. This will be the third one we have tried for Pixie and Roxy although they have been different scents I often wonder if I would receive any of the same scents. We have been lucky and this month we received the Patchouli & Bois de Rose scent. This is a lovely scent and I love rose. It is very strong in the bottle but once sprayed leaves them smelling like a rose garden. FFD Pet Fou-Stick – From FouFou Brands range of wonderfully comforting, perfectly natural and easy to use pet treatments, this luscious balm contains a mixture of rich, soothing natural ingredients to keep your dog feeling fantastic. 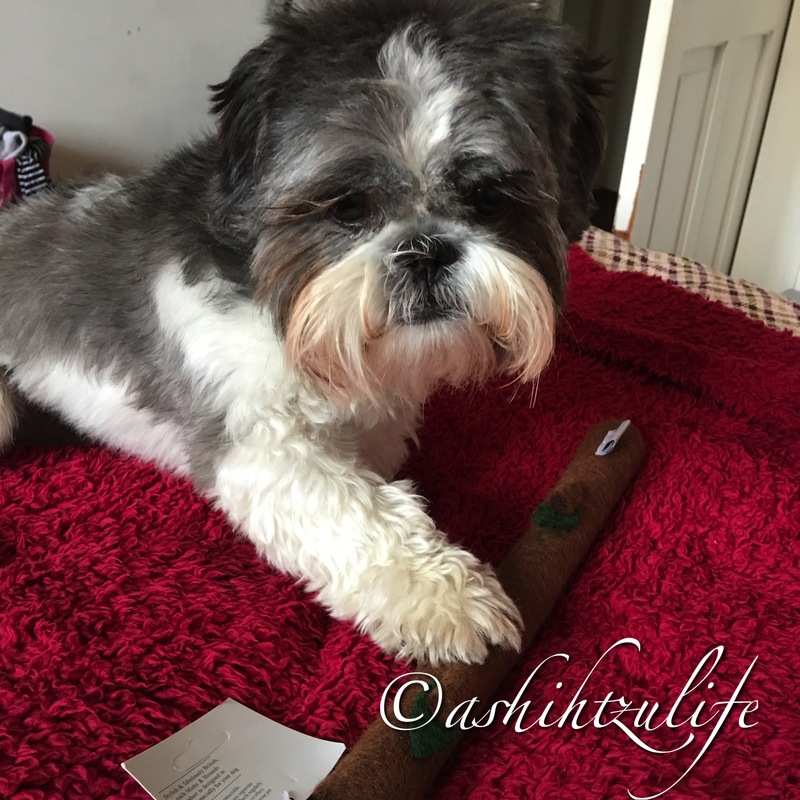 This stick is perfect for hot weather to to sooth Pixie and Roxy’s paws from the hot pavements, it is also good to protect there paws from winter salts. This stick moisturises dry, cracked, chapped paws, toes and noses. I love this stick we do have another brand of paw wax but I hate sticking my fingers in it and having the excess on my fingers. This stick is perfect and all you to is twist and apply. Ingredients include Coconut Oil, Mango Seed Butter, Castor Seed Oil and Apricot Kernel Oil. Woof & Brew Tea – Drop a couple of ice cubes into this tasty tea made with dill fenugreek, ginger, lemongrass and sage, for a cold, refreshing beverage for your pooch! 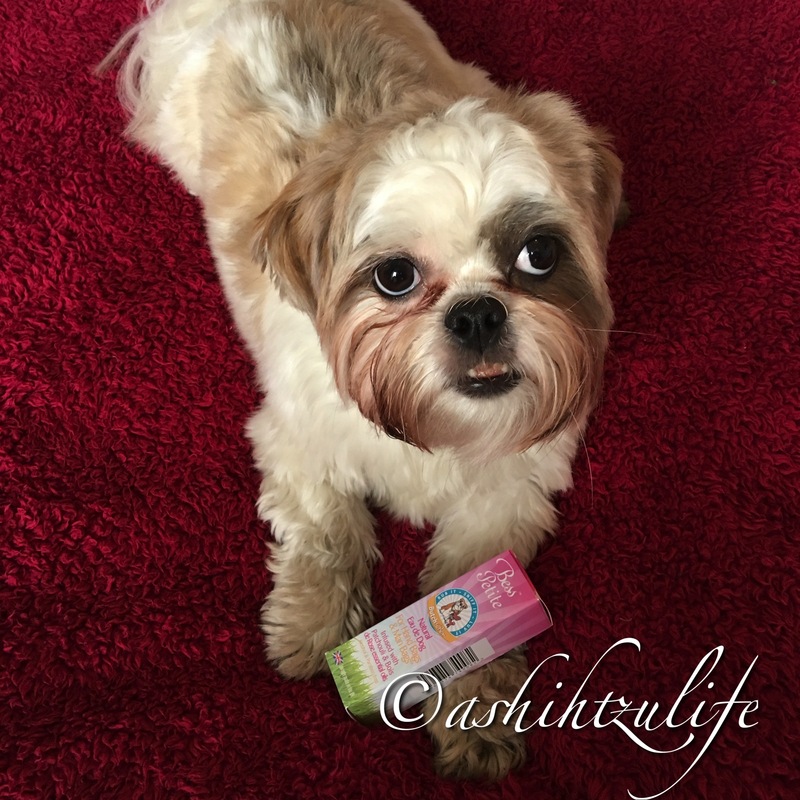 This fresh breath blend is perfect for supporting oral and digestive systems and will help keep your loved one “dog breath” free! Pixie and Roxy have tried these teas before. With what was stated in the description we should of received the fresh breath teas but we ended up with skin & coat instead. Don’t really know what happened here it may have just been an error. Any way Roxy didn’t really entertain the tea but Pixie loved it. Green & Wilds Venison Deli Sticks – These ethically delicious and nutritious venison sticks are low in fat, contain no additives and hypoallergenic. It has fewer calories and more iron than any other type of meat, healthy for the heart and provides protein to build strong muscles and bones. They are air dried and only contain 100% venison. You can even sprinkle the remaining crumbs over food. Pixie and Roxy love these. They don’t get venison often so when we get something like this in the box they go crazy. 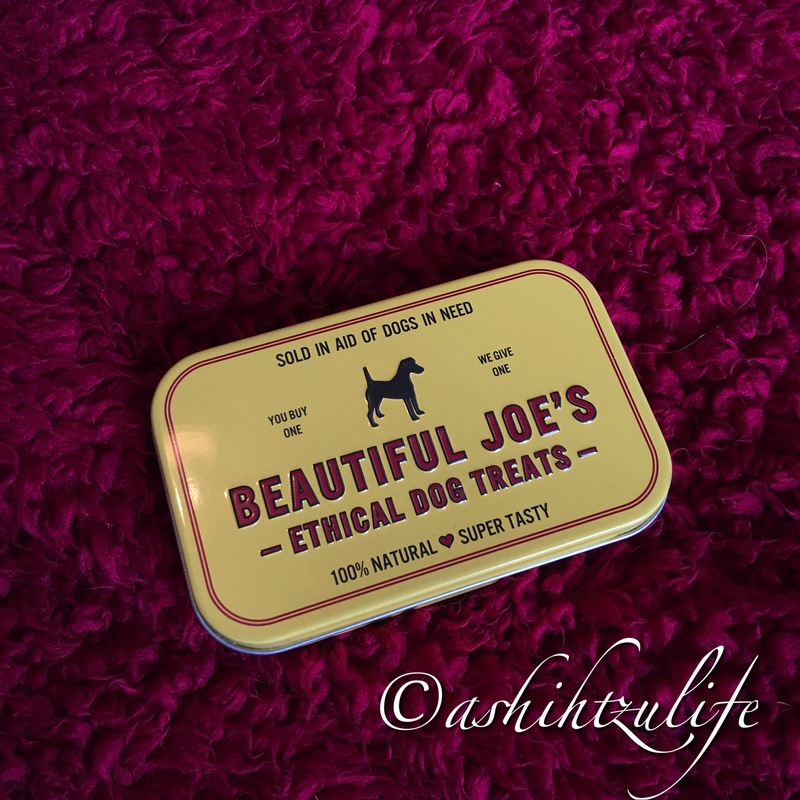 Beautiful Joe’s Ethical Dog Treats – Hand made from free range British ox liver, these morsels have slowly been air dried to lock in the yumminess that drives dogs wild. Every time we put a pack of Beautiful Joe’s in your PawPost box, another box is donated to our charity partner, All Dogs Matter, so you can feel proud that you and your pooch support this wonderful scheme. Pixie and Roxy love these treats. Some times it is a refill pack that comes in the box but this month it was the tin filled with these tasty treats. Over all we love PawPost and will keep this subscription going. I would like to try a few other subscriptions for dogs but I am happy with this one just now. I love that I can treat Pixie and Roxy every month and get excited to see what is in each box every month. 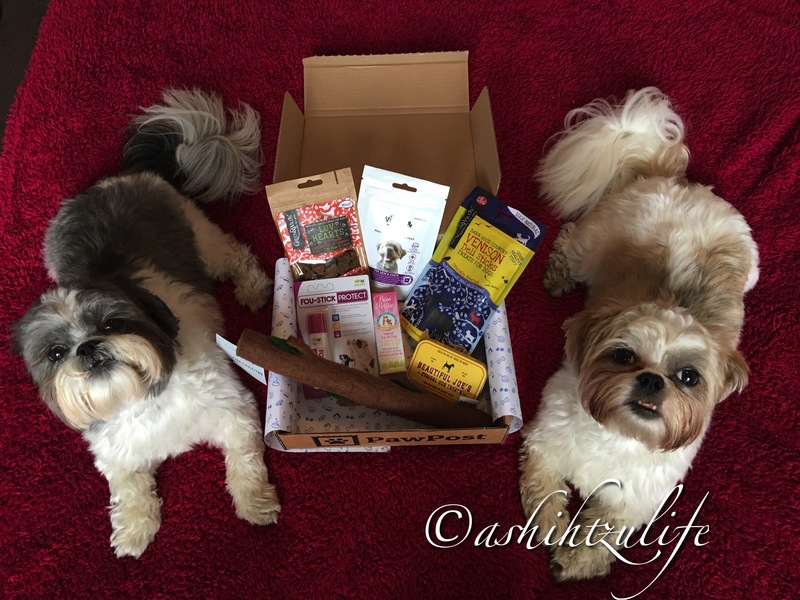 Have you treated your dog to a subscription box? If not check out the website and give it a try, you can cancel at any time.